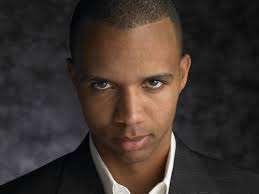 Prominent poker pro Phil Ivey has admitted to using an advantage technique called “edge sorting” in court documents that are part of his suit against London’s Crockfords Casino and its owners, Genting Corp. of Malaysia. The well-publicized suit has seen both Ivey and Crockfords make their cases publicly, in which Ivey seeks to recover the profits of a huge winning session of £7.8 million (about $12 million USD) that Crockfords refused to pay to Ivey, alleging unfair play by Ivey and a female companion in two long nights of punto banco play. Now, according to a new feature in London’s Daily Mail, Ivey has admitted that the basic premise served up by Crockfords in its defense is true, that Ivey and his companion employed the ages-old “edge sorting” technique to gain and edge, carefully studying the backs of imperfectly cut, “full bleed” card backs that they already knew were indicators of certain key cards. Crockfords also alleged that Ivey and his companion, now known to be named “Kelly,” according to the Daily Mail, which claims to have examined court briefs that are part of the case, asked the dealer to specially lift the top in the deck in a slow manner, farthest edge first. This allowed “Kelly,” very likely a practiced advantage player, to determine from minor cutting variations whether the card was a 7, 8 or 9 — the most important cards in punto banco, which is otherwise a non-skill version of baccarat. Kelly, according to the Daily Mail piece, then asked that these cards be rotated 180 degrees, presumably “for luck,” as mentioned in early reports. Kelly and Ivey also cajoled the dealer and the pit supervisor to keep the same deck in play, according to an earlier Daily Mail feature, which meant that over time all the key cards with slight cutting differences were oriented in an opposite direction to the rest of the deck, and could thus be identified. With the cards thus easy to decipher, Ivey then went on his winning streak. According to the latest report, it’s all true; Ivey has admitted that this is what he and “Kelly” — who was previously reported to have been banned from at least one other casino, did. However, Ivey stridently insists that this is not cheating, but is instead claiming that he was an advantage player, obtaining a skilled edge through careful observation. Ivey also insists that the concept of edge sorting should be well known to an established casino such as Crockfords, and therefore they are at fault for not closing the design fault that allowed Ivey to log the winning session. Both sides make an interesting, arguable case, and it’s going to be interesting to see who wins out. On Crockfords’ side, the rules of the game are such that is designed to be a no-skill game, with players not allowed to touch the cards and the cards themselves supposed to be coming off the deck at random. Crockfords’ argument, whether made public yet or not, must rest on the point that by employing an advantage-betting technique, Ivey was destroying that randomness, and thus creating an unfair advantage for himself not incorporated in the rules of the game. Ivey, on the other hand, can elaborate on the point that Crockfords should have known, and that employing a full-bleed card design with a geometric pattern where even minor cutting variations are easily discernible is a basic no-no in casino security. This is a very legitimate argument as well. It is not even an arguable point that Crockfords management should have known that their card backs were susceptible to edge sorting and other detection techniques, and that they were being used at all suggests frankly suggests some sort of contributory or willful negligence on Crockfords’ part. The use of such techniques — without worrying about whether it is best described as “advantage playing” or “cheating” or whatever –literally goes back centuries, to the days when cards were printed and cut by hand. Then add in the fact that the dealer and the pit boss willfully followed the instructions of Ivey and Kelly, his Asian companion, and rotated these cards and didn’t change out the deck for hours of play, while Ivey’s profit grew to nearly eight million British pounds, is frankly unfathomable. There’s really only one true explanation. Crockfords was freerolling Ivey. Without defending Ivey’s behavior, because it’s not something a truly honest card player does, the only way the whole scene makes sense is if Crockfords allowed Ivey to play at will, happy to collect a profit if Ivey lost or quit while behind, but willing to claim unfair play if the inevitable happened, and Ivey pulled ahead. That’s unfair as well. It’s going to be an interesting legal fight.